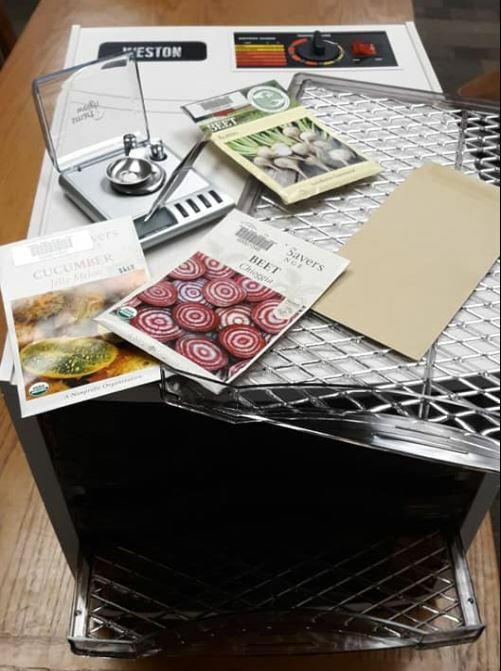 Seed Library – Ready to Go! This year we applied and received a Service Improvement Grant for the creation of a seed library! A dehydrator, fine scale, seed and envelops have been purchased! The dehydrator will be used to save seed from local gardeners. 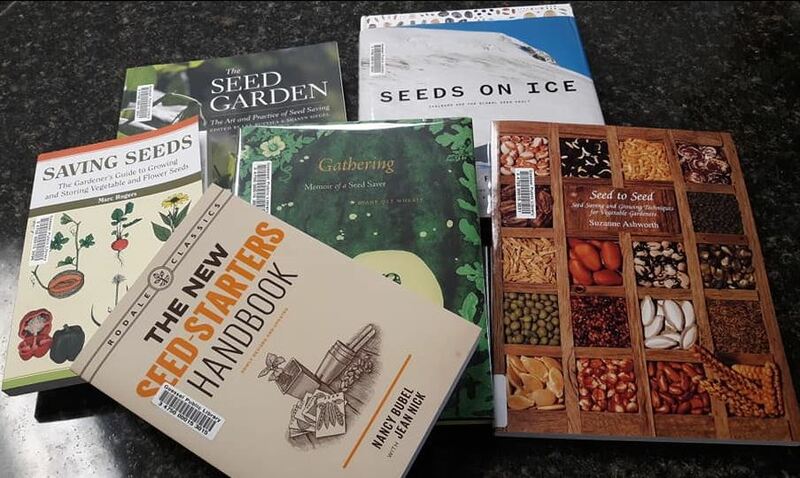 Several books have been purchased about saving seeds and it’s history – come check them out! A seed library is an institution that lends or shares seed. It is not a seed bank where the main purpose to store or hold seeds against possible destruction. The goal is disseminate them to the public, which preserves the shared plant varieties through propagation and further sharing of seed. Seeds do not hold their viability forever even in a vault. Just as traditional libraries enrich a community by providing a way to share books, seed libraries enrich the gardening community by allowing gardeners to share seeds. There are many parallels. Seed libraries offer a more efficient way to deploy community resources. They encourage experimentation, affording gardeners (or aspiring gardeners) a low-risk way to try something new. They provide a supported entrance into the gardening world for novices. 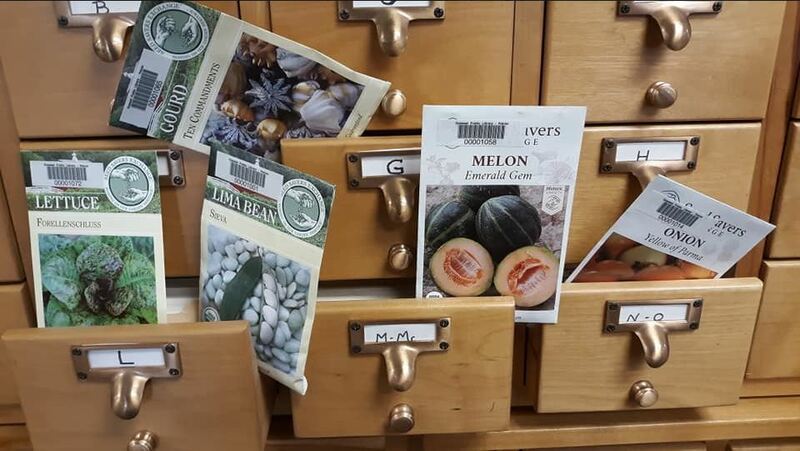 And seed libraries support a kind-of botanical literacy, teaching people what different plants look like and how they grow. Seed libraries also support information sharing and preservation. Gardening is a localized knowledge, built through experience. While written guidelines can be helpful, person-to-person information sharing is how gardeners can learn how to be successful in their own unique environments. Locally, we know about the Turkey Red Wheat. Today, a vast number of modern wheat varieties grown in Kansas can be genetically traced to Turkey Red. The state is one of the world’s top wheat producing regions today largely due to the legacy of winter wheat varieties like Turkey Red. The saved seed will include a form providing information such as variety, harvest year and location, contact information and growing notes. Sort packets into card catalog and list on excel sheet to maintain inventory. “Check out” seeds to patrons with no strings attached – in the hopes that perhaps some will be willing to bring seeds back to grow the library. Hoping to tap into some of the local heritage seed collections! Volunteers to help stock, package etc. Come talk to us if you have any questions, or ideas, would like to volunteer time or donate seeds!